When you think about garage door maintenance, are you overwhelmed by burden or motivated to git er’ done? If your answer is somewhere in the middle, consider that only a properly-maintained garage door can withstand the test of time. 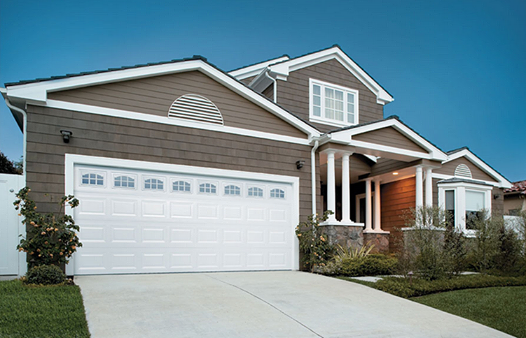 However, what exactly constitutes garage door maintenance, and what should you prioritize? If maintenance is something you do a little of each day, maintaining your garage door involves keeping your eyes and ears open and noticing when something seems off. The first and most essential garage door maintenance you can perform is the simplest: observe your door to ensure that it does what it is supposed to do. Garage doors should open and close smoothly when prompted by a remote or button. If your door stops midway, the garage door limit may be improperly set. If your door won’t open or won’t close, there may be an issue within the operator itself. In any case, when your garage door behaves inappropropriately, consult a garage door specialist immediately to restore safety to your home and keep your door in good working order. Your garage door sensor is made up of two parts that need to be aligned for it to function well: the receiver and the transmitter. These elements can become misaligned by bending the mounting frame. However, you can easily bring them back into alignment by manually bending your frame. You can use the indicator light to see whether or not your sensor is properly aligned. The light will blink if it is out of alignment and remain lit if aligned. In order to keep your garage door weather-proofed, seals are recommended for both the bottom of your garage door and between its panels. Most often, you will only need to replace your bottom door seal if your area experiences extreme weather, and then only once every few years. You’ve invested time and money in your garage door and want it to last for years. The best way to ensure a continually-effective garage door is to perform consistent maintenance, including servicing by your trusted professional garage door operation specialist. Have questions? Ponderosa is happy to answer them. Contact us today!